Who MOtivates you to support men's health? Calling all ‘stache growers and lovers! We’re celebrating men’s health the whole month of November with a special #Mokumato giveaway for you or that special guy in your life. You won’t want to miss out on the chance to win one of four deluxe prizes we’re giving away all month long - and they’re SUPER easy to win, too. Each week in November, we’ll be selecting one winner to receive a prize pack consisting of a Herschel men’s shaving kit, a $100 gift card to The Art of Shaving, as well as our delicious Kumato® tomatoes. That’s over $200 in prizes! 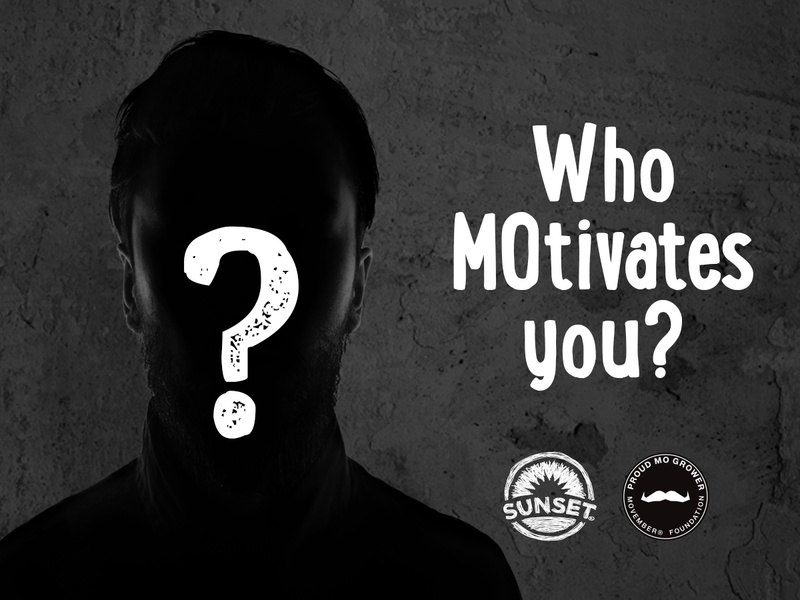 Just tell us this… Who MOtivates you to grow your ‘stache and support men’s health? Share a photo with our #Mokumato ‘stache and/or a story about what MOtivates you on Facebook, Twitter or Instagram (or all three!). Tag us @sunsetgrown with the hashtags #Mokumato and #Movember. It’s as easy as that! Download your own printable #MoKumato ‘stache here, or find one on specially marked packages of Kumato® tomatoes! So what do you with all those Kumato® tomatoes? While they're full of flavor and enjoyable on their own, we love slicing them up for Roger Mooking’s Kumato® Chicken Sandwich. 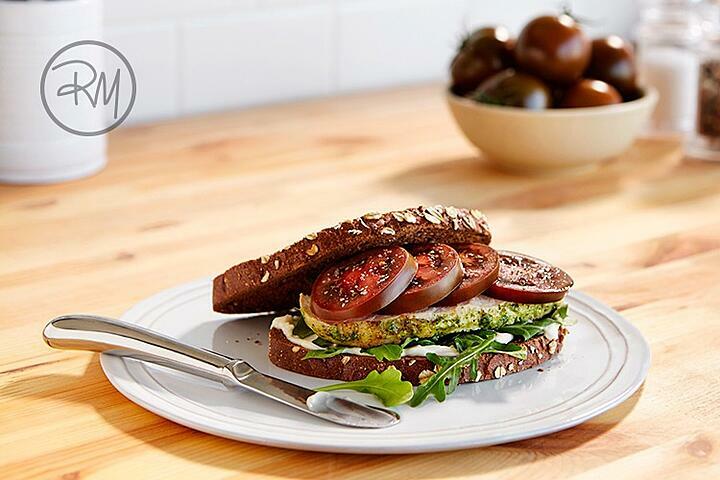 Satisfying and packed with elevated flavors, this sandwich is perfect for kicking off your healthy #Movember! Place basil, parsley, garlic, olive oil, salt and pepper in a food processor and puree until well chopped but not completely smooth. Transfer to a stainless steel bowl and add chicken breasts to bowl and toss until coated evenly. Cover with plastic wrap and refrigerate for 2 hours. Preheat a skillet to high heat and place chicken in the pan. Reduce heat to medium high and sear the breasts to a rich brown color, approximately 3 minutes. Flip breasts, reduce heat to medium, and cook for another 3 to 5 minutes until chicken is fully cooked. Place bread in toaster till desired doneness and construct sandwich in this order: mayo, arugula, chicken, and sliced Kumato® tomato. Enjoy! Don’t forget to season tomatoes with salt and pepper! Don’t worry – if you can’t purchase our Kumato® tomatoes in-store, you can download your own MO here! Need some inspiration? See what our friends are posting at sunsetgrown.com/movember! The contest is open to residents of the United States and Canada only and entrants must be 21 or older at the time of entry. Four prize winners (one each week in November) will be randomly drawn from among all eligible entries received. The potential Winners will be selected in a random drawing to be held on the Friday of each week of the month of November 2017. All entries must be received by 11:59:59 PM ET on November 30, 2017. Entries submitted past the expiration of the Promotion Period will not be accepted. For a full list of rules and regulations, please click below.